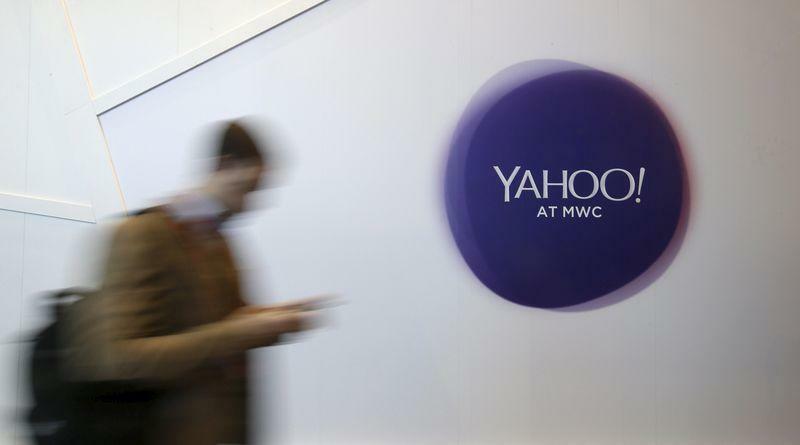 (Reuters) - YP Holdings LLC, the digital advertising business of what was formerly called Yellowpages.com, is planning to submit a first-round bid on Monday to merge with Yahoo Inc (YHOO.O), a source familiar with the matter said on Monday. Yahoo, valued at about $34.6 billion, had extended a deadline to bid for its businesses by a week to April 18, technology news website Re/code reported last week. Cerberus Capital Management LP-controlled YP could merge with a spun-off unit of Yahoo's core business in a tax-free transaction known as Reverse Morris Trust, Bloomberg reported on Monday, citing people familiar with the matter. Cerberus holds 53 percent of YP, while AT&T Inc (T.N) owns the remaining 47 percent, and if YP acquires Yahoo, AT&T could end up buying part of the Web company, Bloomberg said. YP, valued at $1 billion to $1.5 billion, is working with Goldman Sachs Group Inc (GS.N) to explore strategic alternatives, including selling itself, and has also held preliminary merger talks with GoDaddy Inc (GDDY.N), Bloomberg said. Yahoo, YP Holdings, Goldman Sachs, AT&T and GoDaddy declined to comment. Cerberus could not be immediately reached for comment. Yahoo shares, which were trading down for most of Monday, moved into positive territory after the Bloomberg report. They closed up 0.03 percent at $36.52.